Horses for Sale for your next prospect. Please feel free to contact us. We'd love to hear from you! 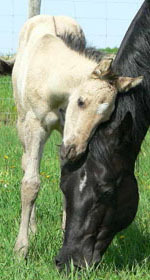 NEWS : 2019 foals will be added to our website in late April and throughout the month of May. Sign up for our Newsletter to be notified when they are added to our " for sale " page. We can accept Visa and MasterCard payments directly, in addition to PayPal.